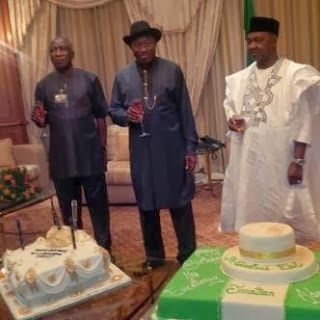 The President of the Federal Republic of Nigeria, President Goodluck Ebele Jonathan is a year older today. GEJ was born on the 20th of November year 1957. The 56-year-old politician celebrated his birthday in a low-key settings today with Vice President Namadi Sambo and a few other dignitaries.